What would I do if I were to win a MacArthur Genius Grant (which I just learned really should be called a MacArthur Fellowship)? It’s an idle thought, but one I have every year when the winners are named. My work with nonprofits shows me daily how much good work is done—and how much better that work could be. I work with development directors who are working hard, but doing it in such ineffective ways that the results make it look as if they are hardly working. I know the difference that is made when an honest commitment to improve is made. 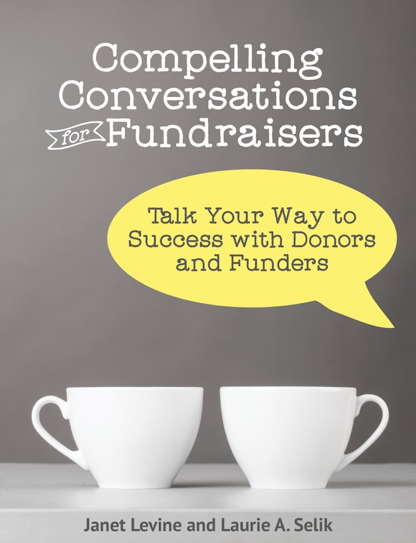 My clients—and the clients of my colleagues—who work with a coach/consultant consistently over a period of time (a few years, rather than a few weeks or months)—find their fundraising results markedly and sustainably improved. Yet number three lags far behind. My experience says that a combination of the three is most effective. Working with a consultant who helps frame the strategies for improvement and then coaches the key leaders on a regular basis (at least twice a month) and does training for larger stakeholder groups has amazing results. It’s not just that more money is raised in the short term, it is that the entire culture of the organization changes, siloes begin to disappear, and synergies are developed. So if I won the MacArthur, I would put that money into creating a nonprofit that worked on building capacity in very granular ways. We would offer coaching/consulting/training to nonprofits, but we would also train and coach our consultants. Not with a certification course but rather ongoing, regular sessions where we would share successes and failures and help each other improve the way we work. In order for that to be successful, we would have to be a safe haven. That means collaboration in place of competition. It would require a commitment to providing with the best match for them (and yes, in consulting as in life, personality matters) as the lead, but with the assurance that the entire team was there in a supporting role. Some of my work is a bit like that. Here is Los Angeles, the BJE, in partnership with PEJE and a host of supporters, if working with Jewish Day Schools, helping them to build endowments. Schools that become part of the Generations program get training at local and national conferences and 40 hours a year for three years with a coach. There are three of us coaches, and we talk with each other, sharing the highs and the lows, and helping each other to be better coaches for our respective schools. It’s a slow process. But it is making a big difference. Over the years, I’ve had one or two similar experiences with a variety of foundations and different types of organizations. I also have more informal networks, people I trust who are great sounding boards, advisors, mentors willing to help me (as I am willing to help them) do a better job for my clients. Working alone can sometimes make you feel that your ideas are great. Bouncing them around with experienced others can help you to see where the weaknesses are—and which strengths you should be building upon. So my MacArthur award would go to building a methodology that would strengthen capacity builders and nonprofit organizations in real and tangible ways so that together we can truly help to create a better world. Janet Levine works with nonprofits, helping them to increase their fundraising capacity and strengthen their boards. Learn more at http://janetlevineconsulting.com. While there, sign up for the newsletter—and contact Janet to see how she can help you and your organization flourish. This entry was posted in capacity, change, consulting and tagged capacity building, coaching, consistency, consulting, fundraising, MacArthur Fellows, MacArthur Genius Award, safe havens, training. Bookmark the permalink. Yup. Very well written. I’d give you the award ☺. Your legacy can alleviate future human suffering in the face of emergencies. Please consider a bequest in your will or trust.